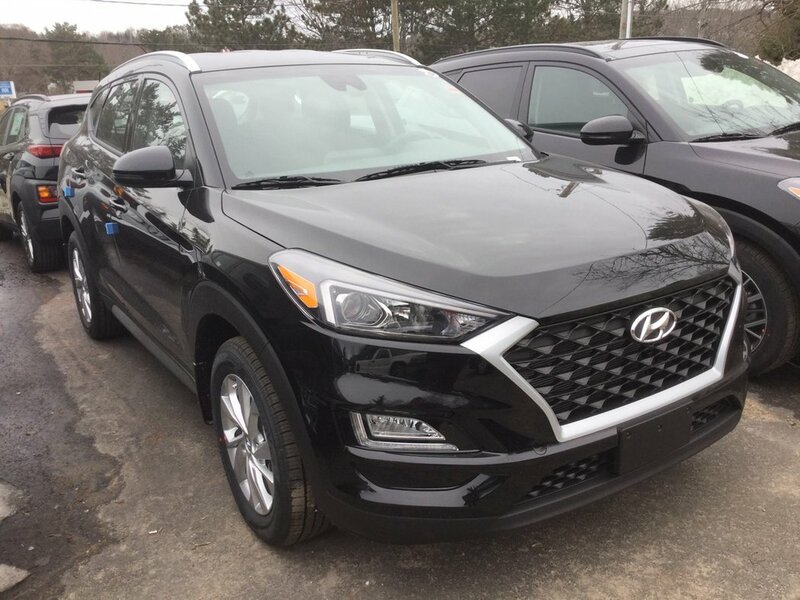 Our family-friendly 2019 Hyundai Tucson Preferred AWD is a knockout in Ash Black! Powered by a 2.0 Litre 4 Cylinder that provides 161hp while connected to the 6 Speed Automatic transmission for passing ease. This All Wheel Drive SUV delivers a confident ride and excellent fuel efficiency of near 7.9L/100km. Engineered to inspire passion and excitement, our Tucson boasts elegant contours, beautiful wheels, and projection headlights with LED accents. 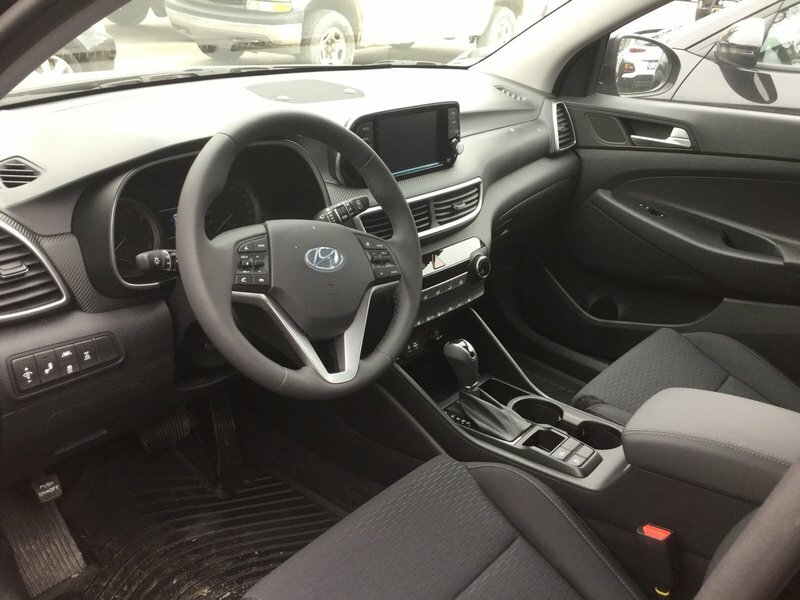 Once inside our Preferred, you'll feel as though it has been tailor-made to fit your needs with heated front/rear premium seats, a heated steering wheel, a leather-wrapped steering wheel and gearshift knob, touchscreen audio, and more! Our Hyundai has been meticulously designed with safety systems including blind spot detection, lane change assist, stability/traction control, active front head restraints, front side airbags, and side curtain airbags. Delivering head-turning good looks, efficiency, performance, and a wealth of amenities, our Tucson Preferred is practically perfect! Print this page and call us Now... We Know You Will Enjoy Your Test Drive Towards Ownership!